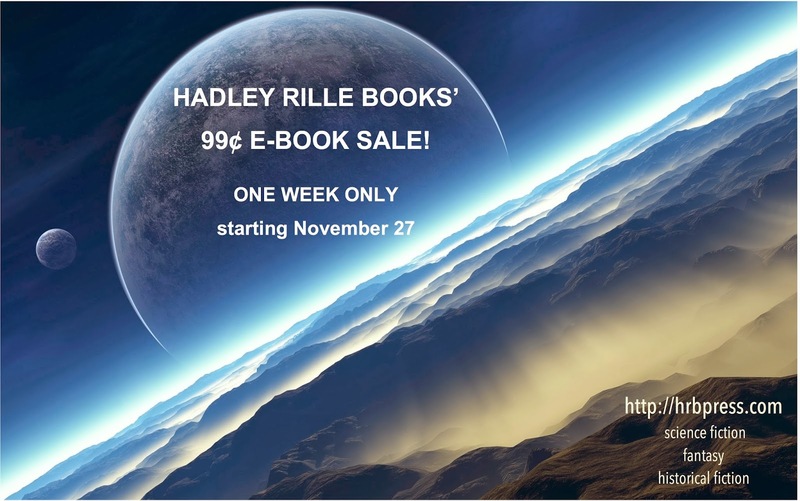 Check out Hadley Rille Books' new Website—and new spec fic books—at http://www.hrbpress.com. All ebooks are 99¢ for the next week. I love cities. One of my favorite events as a child was when, near Christmas, my mother drove my sister and me into Dayton and parked at the end of the trolley line near a pink house, and we would ride to downtown Dayton to do our Christmas shopping and look at the Christmas displays in department store windows. Dayton was one of a handful of cities that did not succumb to pressure from bus manufacturers in the 1950s to get rid of its streetcar system. I've lived in two of the other cities that held out as well: Philaldephia and New Orleans. Over the years, I've lived in some great cities: Philadelphia, where I first ate Indian food and rode Amtrak; Chicago, where I first experienced cabin fever and felt as if I'd accomplished something great when spring finally arrived in late May and I had not frozen to death; Washington, D.C., with its fantastic zoo, the cherry blossoms each spring, and too many museums to visit them all in five years; and New Orleans, the city of my heart, the first and only place I ever felt completely at home. Of cities I've visited on business (mine or my husband's), two stand out as remarkable. Beautiful, friendly Istanbul quickly became one of my favorite places. We never once had a bad meal there—or even a mediocre one. I hope someday to return and stay for a year or two. Bordeaux took longer to enchant me; unseasonably chilly, rainy weather disrupted our month there. Still, I walked and took the tram all over. With the help of guidebooks I learned about its interesting history and discovered good museums, nifty shops, and many remnants of medieval architecture. So I'm excited that I have been invited to contribute to a 2014 anthology called Winter in the City ... if it gets funded. Right now, editor Marty Halpern and project coordinator R.B. Wood are running a Kickstarter project to fund the anthology. Authors who've been invited to submit include Harry Turtledove, Jude-Marie Green, Ken Liu, Lezli Robin, Bradley Beaulieu, Nick Mamatas, and Teresa Frohock. If you'd like to help this project succeed, you can find the Kickstarter project at http://www.kickstarter.com/projects/rbwoodwriter/winter-in-the-city-a-collection-of-urban-fantasy-t. Noisy, crowded, ever in motion, the City is an unrecognized character in Urban Fantasy. Much more than just a setting, the City is the ever-present constant companion to the characters in the genre. Sometimes antagonist, sometime protagonist, the city surrounds and engulfs a good Urban Fantasy yarn. Winter in the City: A Collection of Urban Fantasy Tales will be a celebration of stories that take place in different cities around the world during the bleak—sometimes harsh—season of winter. There will be an open call for submissions after the invited submissions have been received and their fates decided. So if the anthology reaches its Kickstarter funding goal, you'll have a chance to submit a story too—and the anthology will pay pro rates (≥7¢/word).